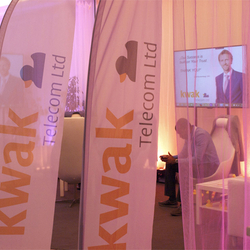 Another year: kwak Telecom sponsors World Telemedia and this year in Prague. WTM Prague 2015 succeeded enormously in gathering professionals from all over the world and sharing new ideas and best practices under one roof in a lively and colorful atmosphere. My impression is that the IPRN industry has a bright future. However, as experts we should inject some innovative ideas to sustain its lifecycle. I am proud to say that kwak Telecom is constantly maintaining its position as market leader and climbing to the next level.